Chop fingerling Potatoes and put in a zip lock baggy. Add the olive oil, rosemary, salt, and pepper. Close the bag and shake well until all the potatoes are covered. 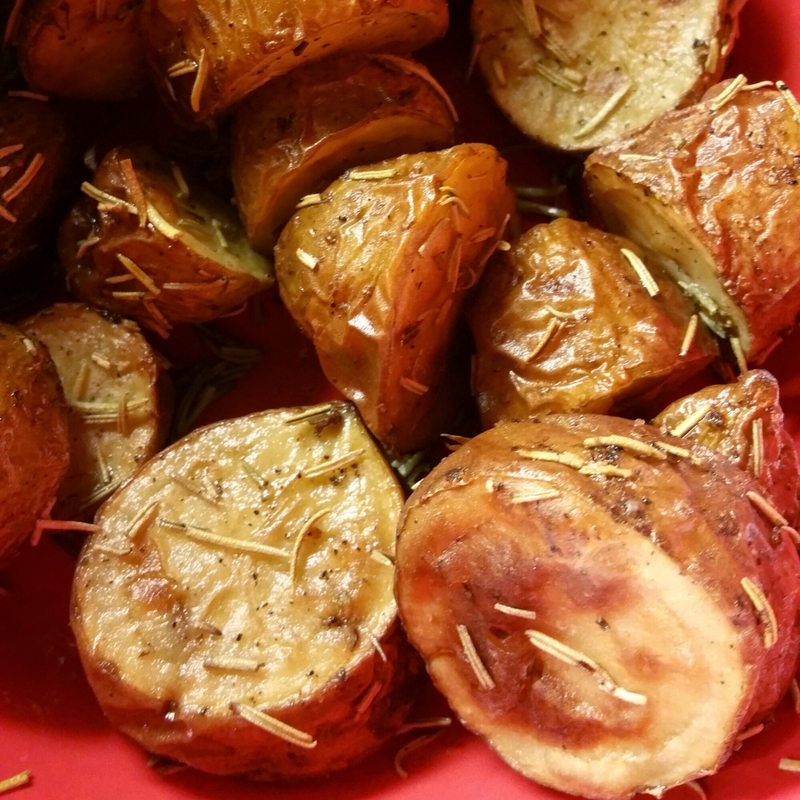 Dump the potatoes onto a parchment lined baking sheet. Roast in the oven for 1 hour. These are not paleo but they came in our CSA box and we just couldn’t waste them!